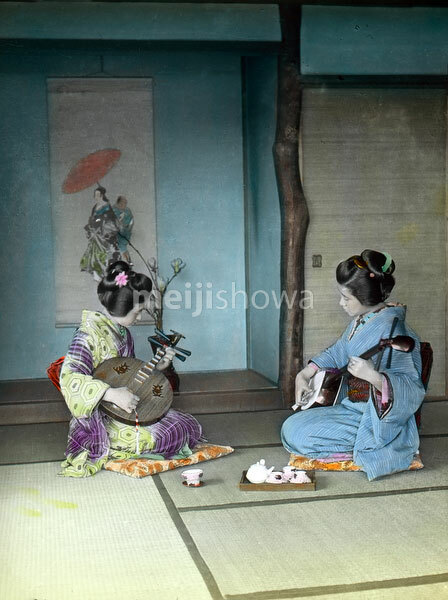 Two young women in kimono playing musical instruments. The woman on the left is playing the gekkin (月琴), a Chinese string instrument. The woman on the right is playing a shamisen. Early 20th century.